The Lignan Castle is an old fortress from the 9th century, transformed into a summer residence in the 17th century by the bishops of Béziers. The river Orb passes along its 17 acres park and four hundred-years-old trees. 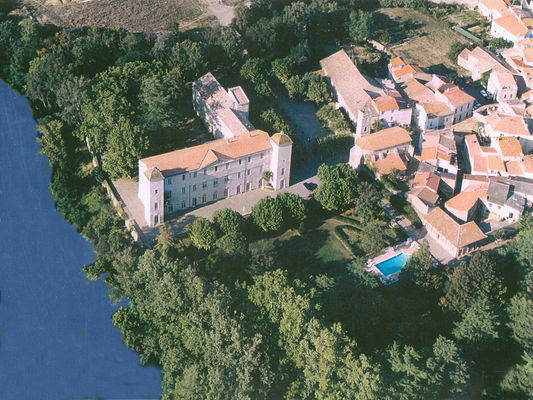 The castle became a very functional air-conditioned and soundproof hotel with 44 rooms. 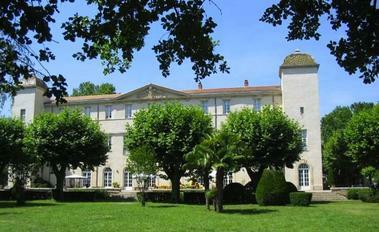 The Lignan Castle is an exceptional place to stay. Only 10 minutes away from Béziers city center, it is situated 12 miles from the Mediterranean Sea. At the heart of the Languedoc-Roussillon, a region rich in historical and gourmet discoveries, it is also very close to the Canal du Midi. The Castle has a 875 m² terrace on the park, another 200 m² terrace at the back, reception and seminar rooms, a large indoor swimming pool, high-speed internet, wifi and a lift at your disposal. Très agréable séjour. Accueil sympathique. ,chambre confortable avec vue sur l.Orb et le parc.. la promenade dans ce parc en automne au coucher du soleil est inoubliable. On reviendra..
Merci encore pour ce formidable moment en votre compagnie. Nous reviendrons avec bonheur.